It’s now or never! With the last-16 done and dusted, the last eight teams will be battling it out for a spot in the semi-finals. Manchester City will hope to get their first taste of a semi-final in the competition when they travel to Paris to take on Ligue 1 champions PSG. The other blockbuster this week is the battle between two Spanish heavyweights. Atletico Madrid travel to Barcelona, hoping to repeat the feat of knocking them out of the competition, like they did back in 2013/14. Bundesliga giants Bayern Munich host Benfica, knowing that the Portuguese men will have less pressure facing an uphill task of progressing. Elsewhere, Real Madrid go hunting for wolves’ blood when they tackle Wolfsburg. Los Blancos will need to be at their very best, hoping to avoid any upsets in the quarter-finals. There’s loads of exciting matchups played, with some enticing odds on offer. I’ve picked out a 6/1 quad which seems well worth a punt. While the whole world would have loved to have seen back-to-back El Clasico’s in the space of three days, or another epic Madrid Derby. Barcelona against Atletico Madrid might be the best matchup of two Spanish teams possible. 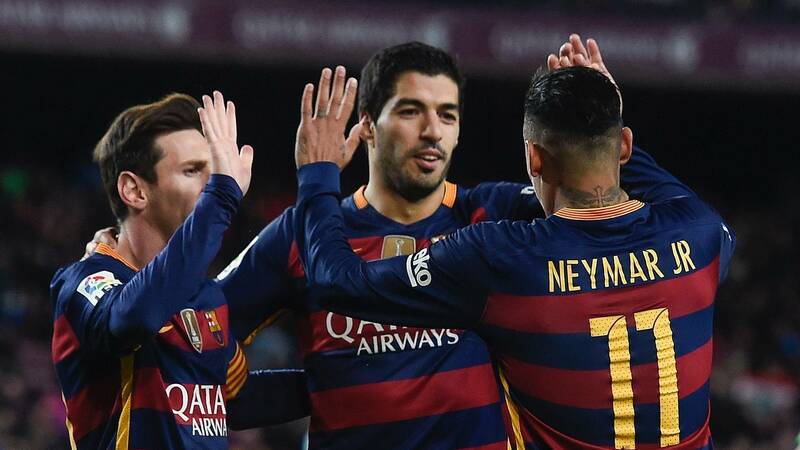 Barca and Atletico sit at the top of La Liga with just eight games to go. The last time these sides met in the league, the match ended 2-1 in favour of Barcelona. That game got a bit out of control for Diego Simeone’s men though, with his side picking up two red cards. Atletico suffered the same result at the Nou Camp as they did at the Vicente Calderon this season – a 2-1 loss. Despite falling short on both occasions, Atletico seem to draw first blood and have opened the scoring in both matches. First by a Fernando Torres strike at the Nou Camp, before Lionel Messi and Neymar got on the scoresheet for the Catalans. And then at the Calderon, where Koke’s goal was cancelled out once again by Messi and then Luis Suarez handed Barca the victory. Luis Enrique’s side have won their four previous encounters against Atleti. But in knockout rounds is where Rojiblancos have the upper hand, knocking Barcelona out in the 2013/14 season of the Champions League. Both sides are in for a cagey affair with arguably the best attacking force against the meanest defence in world football. Could Atletico be the team to prevent Barca from winning another treble? It’s debatable to say that Barca have made it to March without facing any kind of major challenge in this campaign. They’ve got to the Copa del Rey final without having to face Real Madrid or Atleti. Their biggest challenge of the Champions League this season was Arsenal, who they beat both legs despite not being at their very best. Although it’s safe to say, that the “MSN” combination of Messi, Suarez and Neymar has helped them to make the big games look easy at times. Suarez hasn’t bit anybody this season, apart from biting into the nerves of his opposing defenders. While Messi and Neymar feed off him and roam into space, playing the ball through the channels, Sergio Busquets is the metronome in midfield that holds the team together. Barcelona to Win + Over 1.5 Goals is the tip at 7/10. A 1-0 victory is never enough for this Barca side. Bayern Munich are sure to be very happy with their Champions League quarter-final draw, having avoided any fellow European giants. Instead, they'll take on a Benfica side that will be pleased to have reached this stage of the competition for the first time since 2012. Bayern are regarded as one of the two best teams on the planet at the moment, with only Barcelona being able to claim a more superior squad than the German giants. The Bavarians did well to survive in the last round, scoring two last-gasp goals against Juventus to send the game into extra-time, where they netted twice more. Robert Lewandowski has been the key man up front for Bayern, scoring eight times in as many matches for the German champions. Lewandowski is almost certain to add to his tally against this Benfica side. Roaming behind the Polish striker, Bayern can rely on Thomas Muller, Douglas Costa and Arjen Robben to dominate the game in the opposition half with their terrorising attacks. Benfica coach Rui Vitoria will be pleased with his side for making it this far in the competition despite being one of the minnow teams in this seasons knock-out stages. Still, Bayern are not a team without weaknesses, and an intelligent Benfica could make life difficult. The Eagles just need to be tight in defence and try not to concede in the early stages, which will certainly lower their confidence for the rest of the tie. As much as they try, though, I expect Bayern to get things going from the start of the match, right until the end. Back the Bavarians on the Halftime – Fulltime Win at 11/20. What better than to see two of Europe’s biggest spenders go toe-to-toe? Manchester City will face Chelsea’s conquerors Paris Saint-Germain in the quarter-finals of the Champions League. Manuel Pellegrini’s side beat Dynamo Kyiv in the last round to reach the last eight for the first time in the clubs history. Their reward – a tie against the reigning French champions. Both of these teams were taken over a few years ago by wealthy owners, much of the reason as to the fact that they have made it this far in the competition. PSG will look to advance to the semi-finals of the Champions League for the first time since 1995, something Man City will look to put a stop to in hope of gaining their first ever semi-final spot. However, I feel like this could be the year for the Parisians. Nobody knows how good they really are. In Zlatan Ibrahimovic, PSG have one of the deadliest centre-forwards in the world. The Swedish powerhouse has netted 35 goals in 40 appearances this season. Could somebody please remind Ibrahimovic that he is turning 35 this year? He has an eye for goal, great dribbling skills and has the movement of a teenager. To make matters worse for City, they have to try stop the runs and trickery of Angel Di Maria and Lucas Moura on either flank. In midfield, Blaise Matuidi runs the show, making an impact in both attack and defence. The Parisians set a new league record, winning the title with eight games to go. Ligue 1 is done and dusted, and they are likely to let their fringe players finish things off. But even PSG’s out-of-favour players can walk into almost any of Europe’s elite sides. Man City will hope to rely on some of their fringe players to provide the goods with Raheem Sterling, Vincent Kompany, Samir Nasri, Fabian Delph and Kevin De Bruyne all injured with Joe Hart a major doubt for the clash with a calf injury. With that being said, I can see this tie ending one way only. PSG are tipped at 6/10 to let the good times roll. Get on! Real Madrid will have been quietly delighted to avoid Barcelona and Atletico Madrid, while Wolfsburg will probably be quite pleased that of all the big guns they could have got, they’ve got the side who has been the least convincing in recent weeks – apart from Manchester City, of course. Madrid will be favourites, but Wolfsburg shouldn't be underestimated. Last season’s Bundesliga runners-up have done fairly well to make it this far in the competition, and have benefited from some lucky draws. A group stage against a mess of a Manchester United side, then a last-16 tie against Belgian side Gent, the German Wolves surely took advantage of the ties and now Real Madrid stand in their way of progressing. Back in April 2010, Wolfsburg striker Nicklas Bendtner once said “If you ask me if I am one of the best strikers in the world, I say yes because I believe it”. Seriously Bendtner? most football lovers wouldn’t even put him amongst the top 50 best strikers on the planet. Cristano Ronaldo, The three-time Ballon d’Or winner, is the highest scorer in this seasons Champions League and is almost guaranteed to get on the scoresheet here. Despite not being their usual selves recently under Zinedine Zidane, Los Blancos should still be regarded as one of Europe’s heavyweights. It certainly won’t be straightforward for Real Madrid with Wolfsburg’s attacking trio of Julian Draxler, Andre Schurrle and Max Kruse likely to give Pepe and Sergio Ramos a slight headache in defence – yes, Bendtner doesn’t even make the starting line-up. 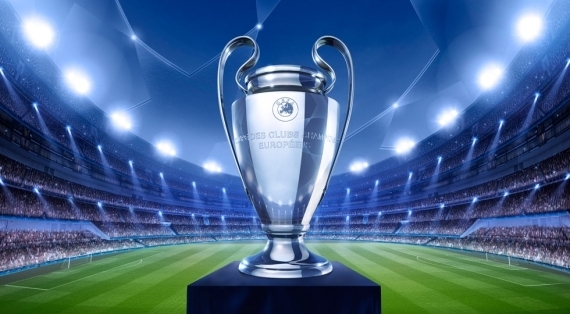 However, Madrid should prove too strong for Wolfsburg and are tipped to edge it at 7/10.